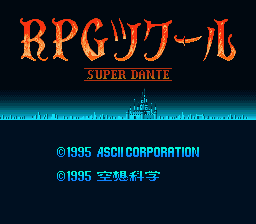 I’m not sure why it’s called Super Dante, but RPG Maker allows you to make your own RPG, with a style very similar to that of the Dragon Quest I.II remake. 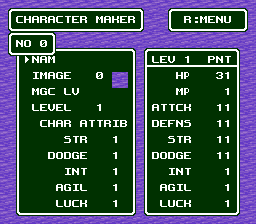 There isn’t a lot of point to this anymore, now that RPG Makers have been released overseas for PS1 and PS2. 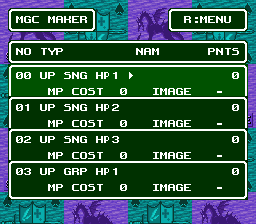 Though, I guess it’d be easier to send someone your awesome new RPG as a SRM file then some stupid DexDrive save or whatever else. 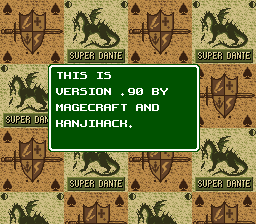 This patch is very obviously based off of the old KanjiHack patch. What little menu stuff KanjiHack missed in their last patch, this release fixes. Well, most of it. 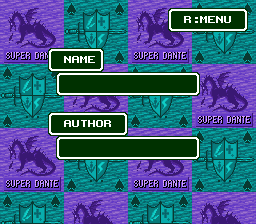 The sample game’s also been improved upon. Slightly.